September 23, 2016 at 8:57 pm. Say you are looking for somewhere private and exclusive to host your large family get-together. But the problem is that you have family dotted around the world. You need a place that is easily accessible (an airport nearby and direct flights from major cities a must). You also need a location that is not only beautiful but peaceful and extremely homely too. Now, say your family is larger than a group of 30 people and you’re struggling to tick all the above boxes. You are also struggling to allocate everybody a room for the night. 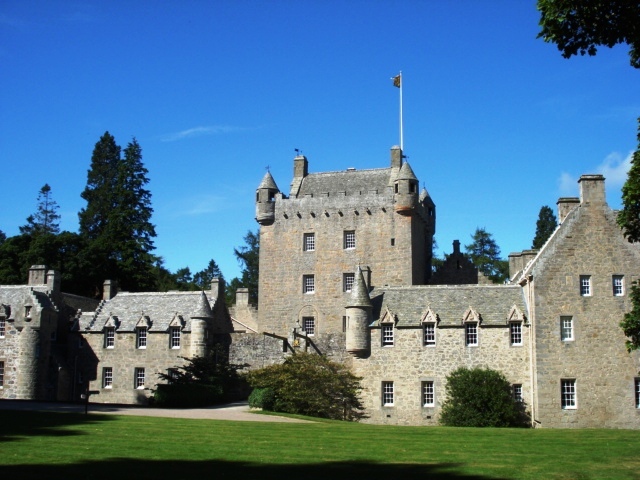 Many exclusive use properties or luxury destinations in Scotland are converted stately homes or mansion houses. The trouble is they have a small number of bedrooms (usually the original bedrooms of the house). So the property itself is too small for your family stay.  A hotel, although it has plenty of space and many guest rooms, does not have the exclusivity ultimately required. Choosing an historic Estate is the best option because there are usually other properties within the grounds that guests can stay in. 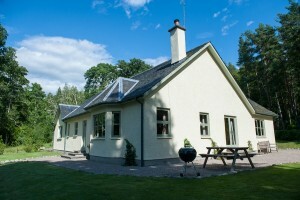 For instance, the four traditional holiday cottages on the Aldourie Estate. You can spread your family group out across the entire grounds, where each cottage is within easy walking distance of the Castle. As a result, your bigger party (up to 50 guests at Aldourie) can be accommodated. 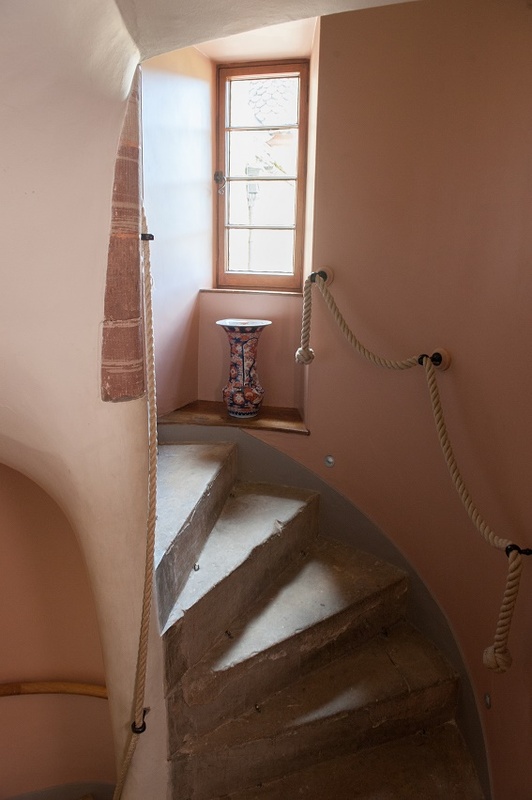 Another benefit of stay in the Castle and cottages: you have more settings and window views to experience. 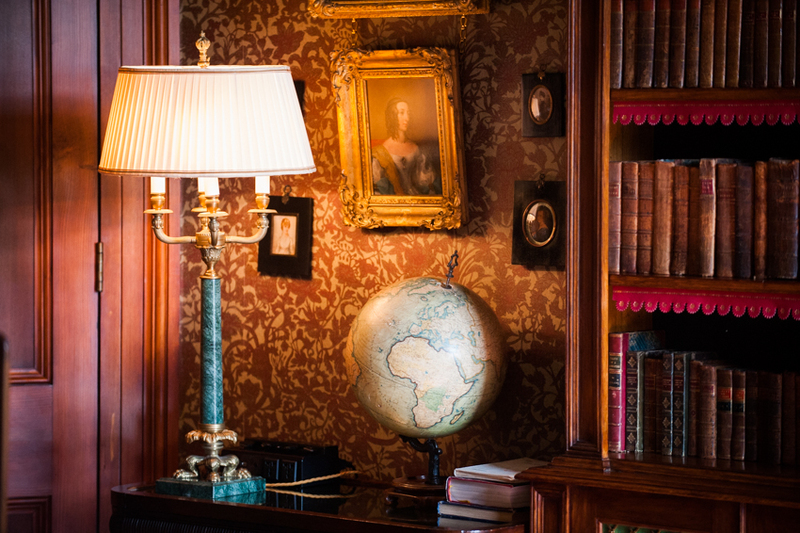 Although Aldourie Castle is a luxury in itself, its captivating aura and interior beauty can sometimes be all-consuming. (Be prepared to enter another world when going on an Aldourie holiday). Many private stay guests say they want to explore more of the grounds next time. Therefore, having your family of guests spread out across the parkland means ample reason to roam around. 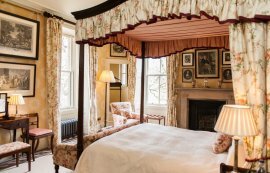 From romantic lie-ins in wooden beamed bedrooms overlooking Loch Ness to showering in a turret and wandering through formal gardens like a Downton Abby character, your experience of ‘Castle’ and ‘Cottage’ could not be more different. Guests don’t have to decide which of these holiday types they prefer when taking over the whole Estate. Both are there for the taking to enjoy whenever they please. Some mornings you might want a complete five star service at your disposal. And also a large Scottish cooked breakfast on tap. Other days you could want to light the fire yourselves, cook your own eggs and bacon and wash up your dishes whilst admiring the woodland view through the window. 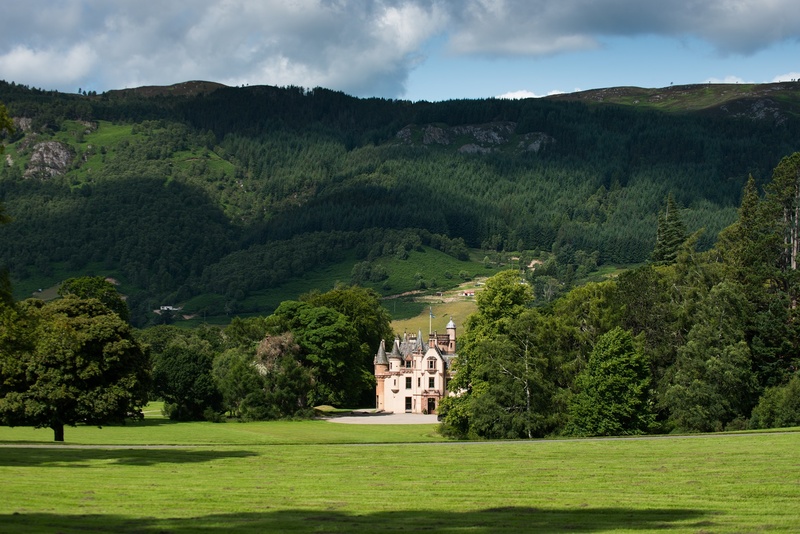 At Aldourie, two types of holiday can coexist just minutes apart. Roam down the back garden of Pier Cottage to the shoreline to watch the boats bobbing on the marina. Later, take the family dogs for a walk in the woods (all four cottages are pet-friendly). 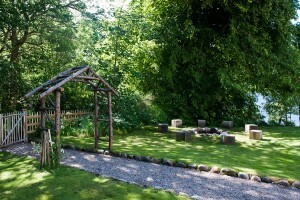 Later, sit out on the Castle terrace facing Loch Ness and take afternoon tea. 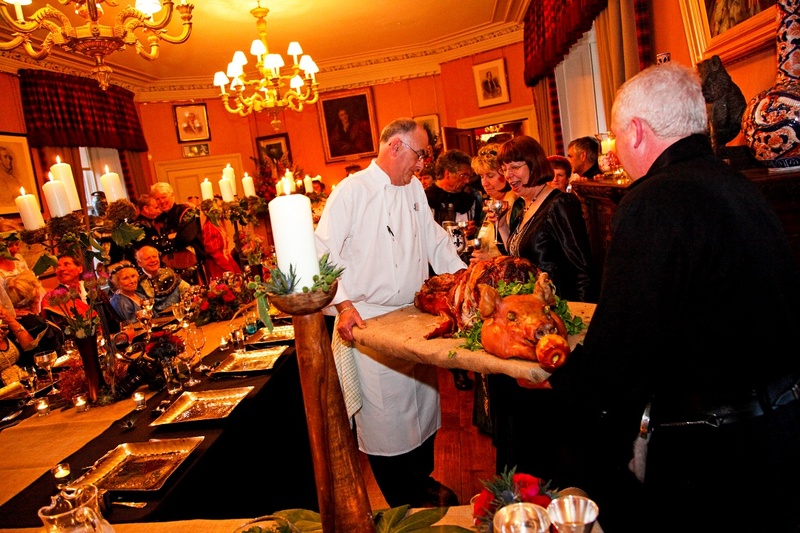 In the evening everybody can reconvene in the Castle to eat banquet style on long tables in the Main Hall. 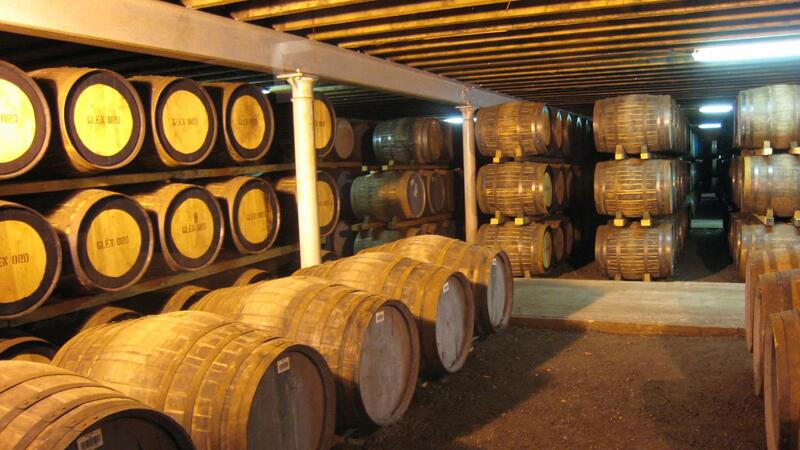 A multi-itinerary for a multi-generational holiday in the Scottish Highlands. Some just wish to take a short break or luxury stay for the moments it brings and the memories it generates. Others look for something with more meaning and like to know the history of the place they are occupying. Stay on an historic Highland estate making use of both the quaint cottages and the large house and see just how life used to be for the wealthy and fortunate Scots. 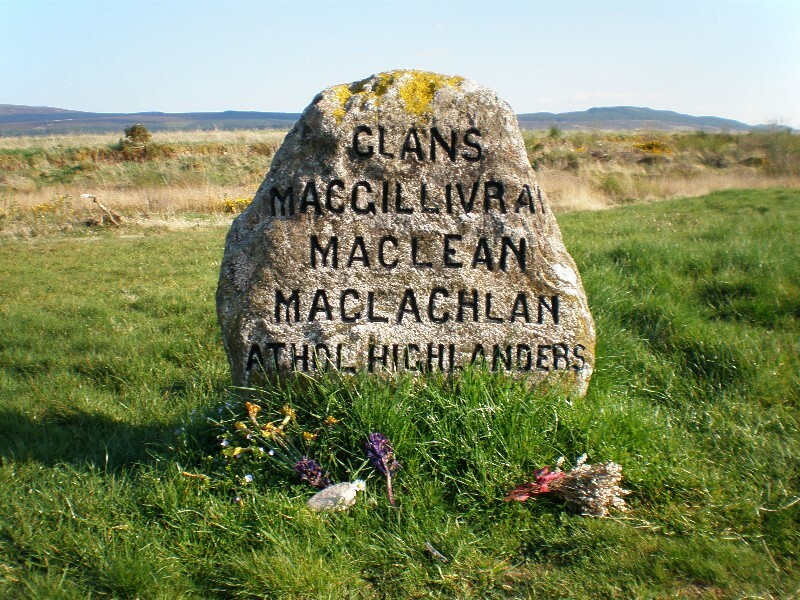 Adventure through the ample grounds, which change from season to season and look at the archives in the library to read up on the Scottish clan history. Realise the proximity of the cottages to the castle, and get a feel for how an estate would run. Taking over a Highland retreat of today is not only a luxury family holiday but a learning curve for children and adults alike. The variety of outdoor sports and activities groups and families can take part in together are also another pull for making good use of your exclusive use property and grounds. Fresh air combined with majestic views across wild scenery make for longer days no matter the time of year and give you more energy to enjoy your stay. September 11, 2015 at 9:24 am. 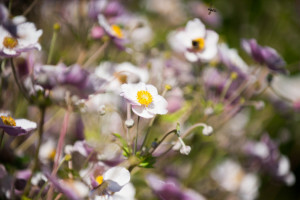 The joys of springtime on the Aldourie Castle Estate really do set guests and staff up for the year ahead. 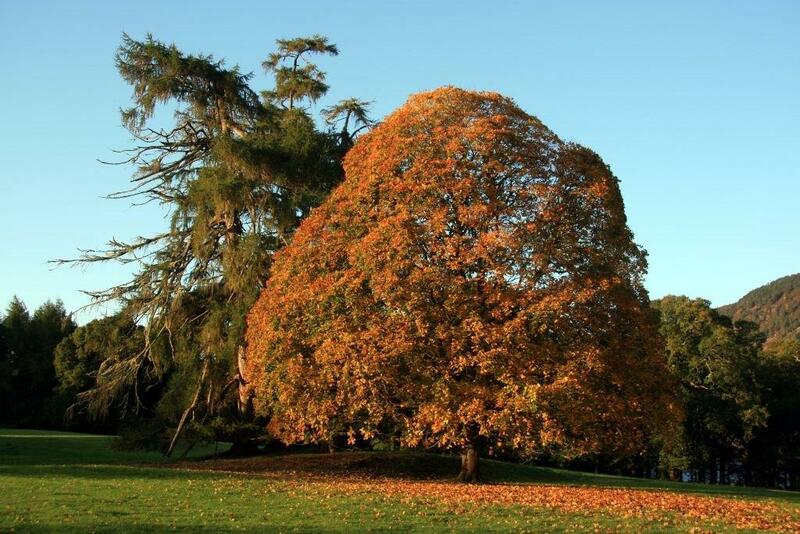 The colours in the arboretum start to appear; green foliage creeps out of bare branches and brambles and the buds show their heads in the garden and woodland. On the Estate, private holiday guests can look forward to fresh fragrant walks in the mornings and afternoons coming across daffodils and daisies aplenty that spill out over the acres of parkland. The delightful sound of spring in the air comes from the eclectic birdsong in the woods and bushes. 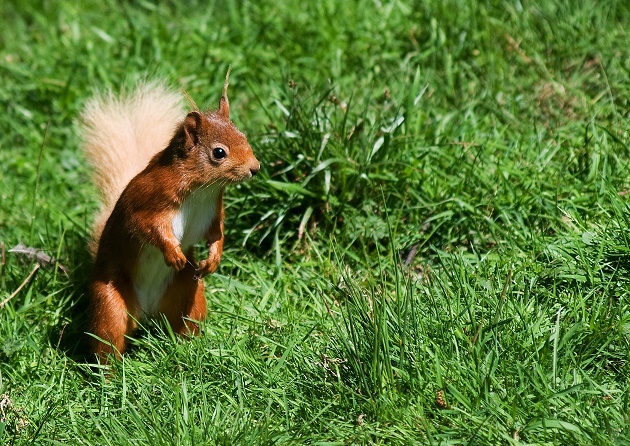 Families who use the Estate to its full advantage during their exclusive stay at the Castle will notice the wildlife awakening from their homes – red squirrel, pine martins and roe deer are just a few animals to be found in the Scottish Highlands. Springtime calls for a game of archery in the park for early risers and midday picnics sitting amongst the bluebells. 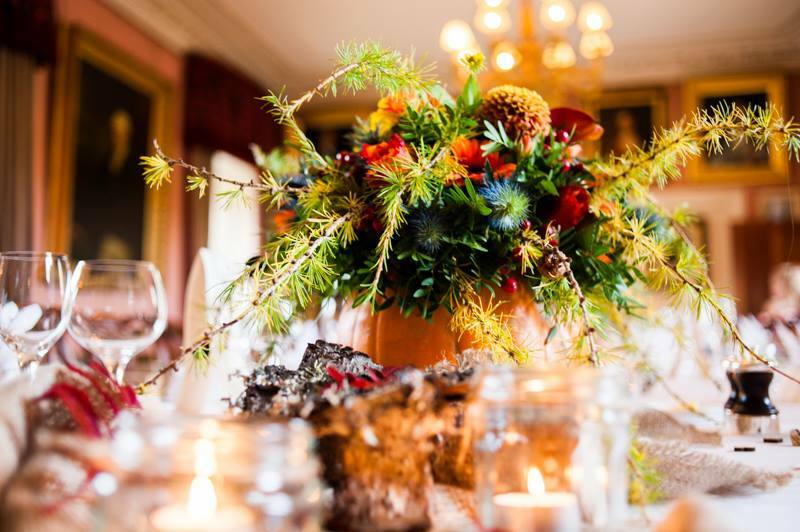 In Aldourie Castle, we gather up some wild flowers and daffodils from the grounds and arrange them into vases throughout the bedrooms for guests to enjoy. 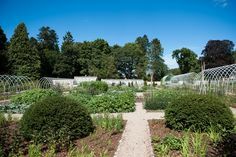 When the weather is high…and even when it’s low, summertime at Aldourie is a sight to behold. 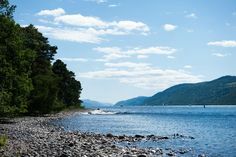 Cottage guests can wander the Estate into the evening, enjoying the light nights along Dores Beach, walking the dog through shadowed trails and gazing over Loch Ness from the Estate’s private pier. The boats bobbing on the marina are symbolic of the summer season at Aldourie; backed by the majestic Highland hills they accentuate the calmness of Scotland’s beautiful nature and distinctive wildlife. The Castle gardens start to bloom with bright colours in every shade from rose arches to rhododendron walks and wild cascading flowers. The tree house and campfire spots are popular pastimes among summer guests with their promise of adventures and warmer nights. BBQs on the terrace overlooking the loch make for an enjoyable afternoon in the sun and into the evening when guests can wander the grounds with a glass of the Castle’s finest cellar wine. Chef brings in seasonal herbs and fruits to bring dishes to life; from summer favourites including forest fruit cheesecakes and gateaux to new fish and chicken pies and salads. The trees start to turn in September usually but it does depend on the climate. 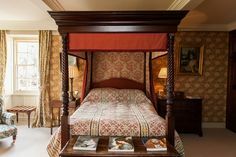 A sea of golds, burnt oranges and crimson reds sweeps across the Scottish Highland hills and woodland floor, cocooning Aldourie Castle in an autumnal coloured rainbow. For cottage and Castle guests that stay during October and November the atmospheric Loch Ness and old family graveyard are among their favourite haunts, from Halloween strolls through clusters of parkland trees to peaceful boat rides in the nostalgically scented afternoon. Afternoon Tea is often served in the Red Drawing Room where guests can recline on chaise longues and look out at the golden peaks and the forests swaying in the autumn breeze. 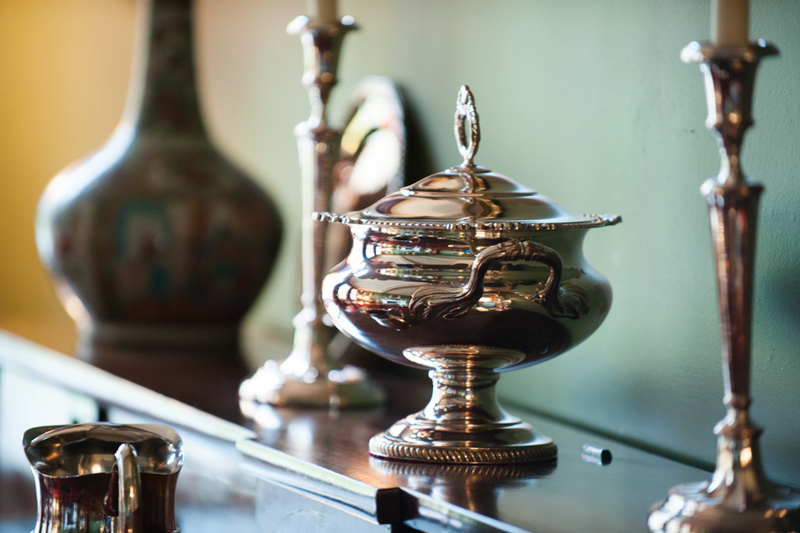 Throughout the Castle, open fires flame with a gentle roar and cosy furnishings provide the perfect luxury base. Outside, because it’s always more fun to be there, the children can pick apples and various other fruits from the mini orchard near the greenhouses. The season brings plenty of pine cones and conkers for them to collect on chilly mornings. Pumpkin pie is an Aldourie Castle chef staple, enjoyed best with friends and a fresh pot of coffee in the Laird’s Room. After cooking up an autumnal feast in the country kitchens of the holiday cottages, guests succumb to the temptation of the wood burning stove after crunching some leaves underfoot during a satisfying woodland walk. 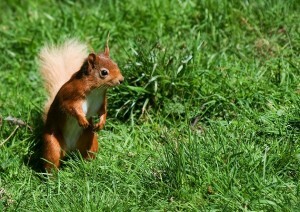 Colour slowly fades on the Estate and a silence falls as the Highland wildlife returns to shelter. Blue, cloudless skies and low sun heats up the wintry mornings; guests love a brisk walk before breakfast then watching the children race back to the Castle for a full Scottish fry up! Afternoons are made up on speedboat rides on Loch Ness wrapped up in winter woollies feeling the crisp wind against your face and dewy winter wonderland strolls looking up onto snow-capped peaks over crystal clear waters. Back inside the Castle, hot cider and mulled wine flows and candles with festive scents fill the staterooms with smells of Christmas. Chef can be found cooking hot casseroles and Sunday roasts using the finest local game, poultry and winter veg accompanied at their best with a soul-warming bottle of Merlot from the Castle cellar at the traditional dining table. If you’re lucky enough to be staying on the Aldourie Estate when the snow falls one of the most magical sights is seeing the Castle from the Dores side of the Loch, backed by evergreen forests and fronted with snow-capped hedges and a calming glistening lake. Snow drops and snow bells pepper the formal gardens and arboretum – fill up a vase for the bedroom to bring in the exciting smells of winter to your cottage retreat. September 11, 2015 at 8:52 am. People have always enjoyed the freedom and flexibility that accompanies a DIY holiday from camping to self-catered hotel stays; you have the base covered but you make your own fun from there. But the growing popularity in cottage breaks in the UK and abroad is proof that people want a holiday entirely on their own terms and deep down like the creature comforts of a home from home experience. 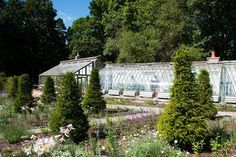 Some added luxury and an idyllic location are usually top of the list, especially if a couple, family or group of friends are travelling far up the country to the magnificent and famous Scottish Highlands. It just so happens that Aldourie can provide all the convenience and beauty needed to make the perfect cottage holiday or short break in Scotland. When you’re planning and preparing your own meals you can eat what you like, when you like, which certainly helps set the tone for a freeing existence during your cottage holiday. 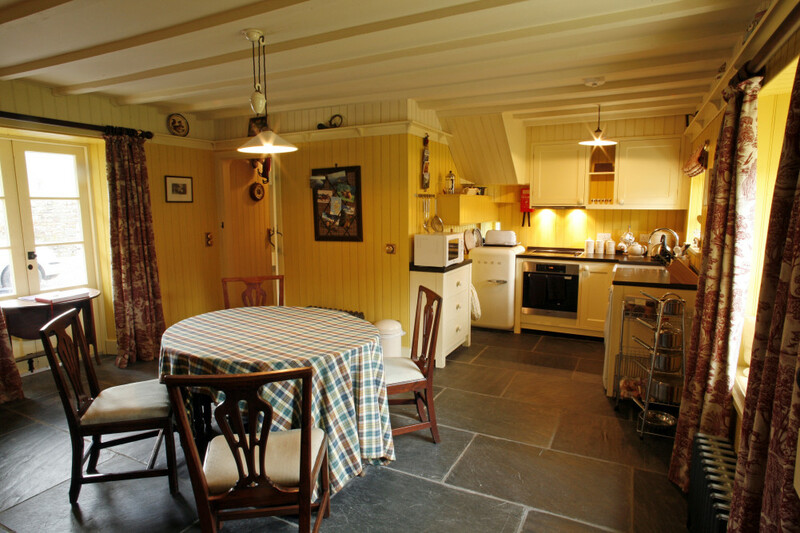 Convenient and relaxing, holiday cottages on any farm or large country estate will usually boast a chic country kitchen with all the mod cons you’d have at home – and the change of scenery makes it all the more enjoyable to cook and chat with family and friends. You also have the choice to break up your routine with visits to a selection of local cafés or pubs in quaint towns or glorious countryside settings – check your holiday cottage manual for the owner’s recommendations for the best eateries around. Never mind Jamie Oliver’s dazzling kitchen or The Great British Bake Off marquee set ups, the huge kitchen at Pier Cottage looks out onto Highland wilderness and woodland and has a spacious cooking island and American style fridge-freezer whilst country chic Ivy Cottage has its very own SMEG. Let the beauty, aromas and tranquility of the Highlands inspire your contemporary cooking as you sit literally on nature’s doorstep. 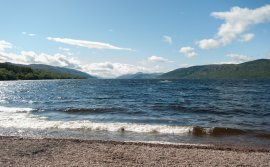 Guests are encouraged to visit the local and highly acclaimed Dores Inn for lunch or dinner; take the charming shoreline walk there and receive the complimentary shuttle back, available to all Aldourie holiday cottage guests. Wake up to a breakfast every morning at a time to suit you instead of being dictated to by a hotel’s set timings. Enjoy a leisurely prep in the kitchen and later the full works with the company of your choosing. Top off sitting down to a hearty cooked Scottish breakfast with incredible window views and cosy surroundings with the gentle hum of the radio. It has to be bacon and eggs breakfast in bed or being woken up by the smell of steaming fresh coffee from the Nespresso machine, found in any one of the four pretty holiday cottages on the Highland Castle’s large Estate. 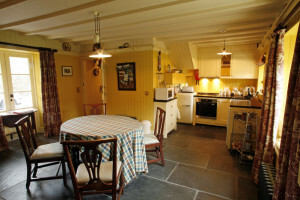 Compared to a hotel, which is more often than not placed for convenience of access and locality, a holiday cottage is placed thus for its setting. 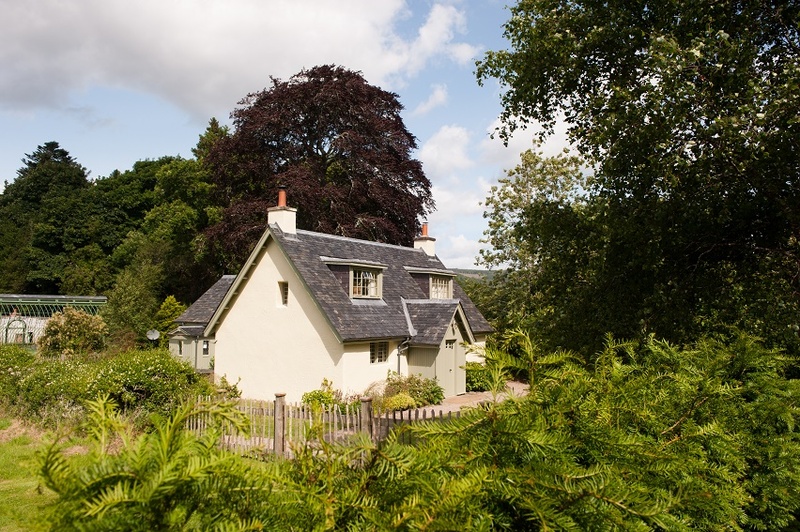 Luxury cottage rentals in Scotland are blessed with captivating surroundings of the Highlands or Lowlands or on the banks on many of the lochs that define the country. Tranquillity and beauty preside in the calming, wild and untouched areas of Scotland so when choosing your cottage destination be sure to opt for one with the most idyllic and captivating views as well as access to the type of countryside you most want to enjoy or explore. 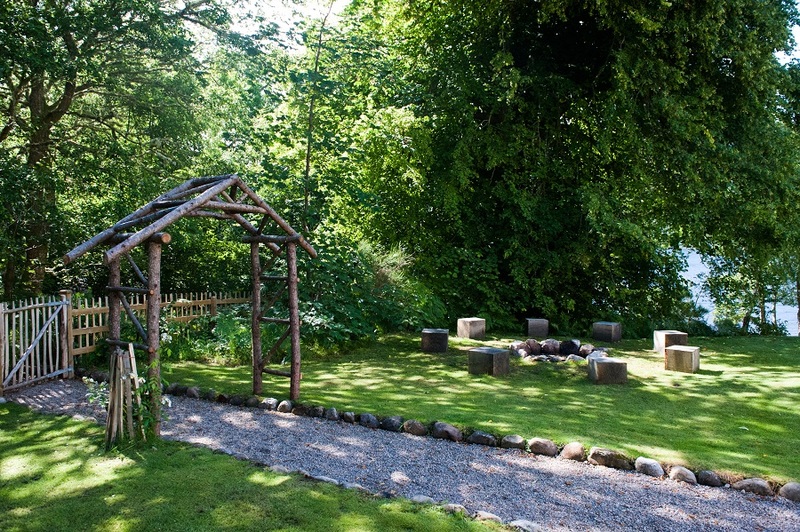 Your own holiday cottage garden, like the ones at Aldourie, allows freshly cooked dinners al fresco, barbeque on site and the kids run around by themselves in a safe, secure environment. 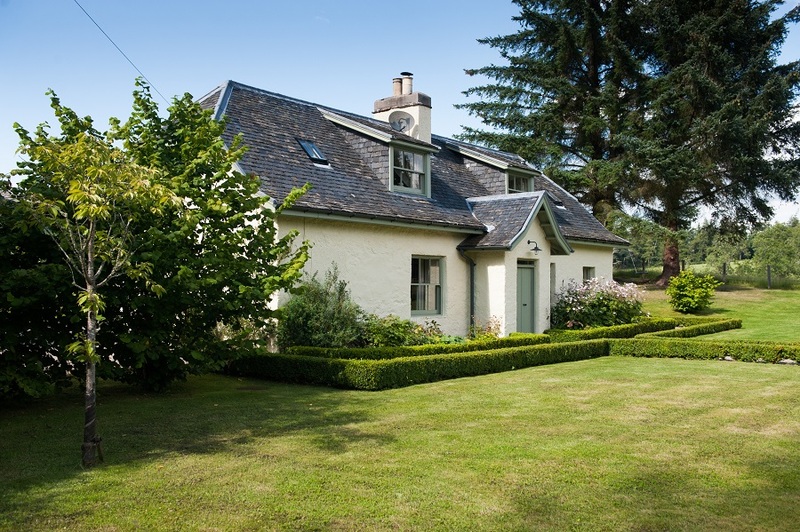 Nestled within a private Estate yet accessed by the main road into Inverness and minutes from the train station and airport, our cottages could not have a more convenient location. Once through the iron Castle gates, the route down the winding drive to find each of our hidden holiday cottage gems is an adventure in itself and the glorious, individual setting of each holiday cottage is the icing on the cake. With endless views, scenic walks, fresh air and rare Scottish wildlife on your doorstep there is no need to get in the car to find it elsewhere. Unlike a hotel, with a relaxing cottage break in Scotland you will not have to share the outlook or immediate outdoor surroundings with anybody but your own party of family or friends. Plus, all rooms in the holiday cottage are yours to use as and when you please and for whatever reason you wish. Although the landscaped gardens and grand rooms of a hotel may be luxurious they are intended for public use and privacy is not necessarily part of the deal. 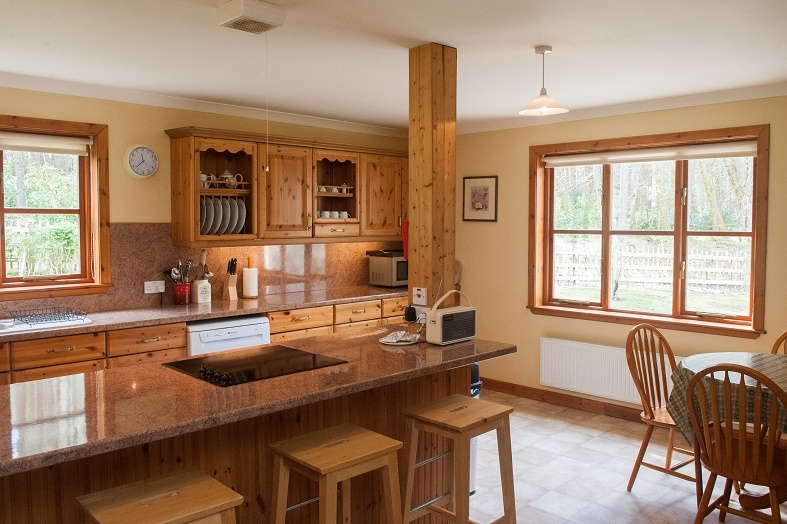 Self-catered holiday cottages are also a preferred way of holidaying for many because there are no hospitality staff and no superfluous distractions; just the relaxing lapping of waves and the giddy noise of the children playing in the back garden. Ivy Cottage’s cosy luxury complete with exposed beams and a freestanding bedside bath is more romantic than any hotel suite. Garden Cottage’s outdoor area is an adventure playground for all the family and Pier Cottage offers Loch Ness views you could only otherwise dream of that are exclusive to you. Privacy in your Scottish Highland dwelling is guaranteed at Aldourie. 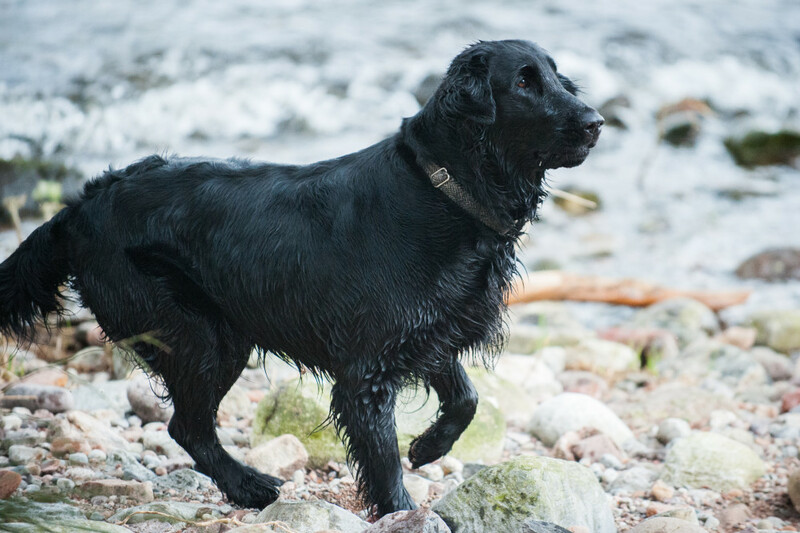 Many hotels are not pet friendly but when you visit the Scottish Highlands bringing your beloved dog is a huge part of what makes your holiday special. One of the major pulls of a self-catered stay is the opportunity to bring the whole family and not leave a certain member behind. Bringing your dog on holiday helps to keep the stress levels low and the kids distracted, which on long car journeys could be a welcome relief. Moreover, dogs add fun, frivolity and activity to your cottage holiday and can take advantage of most of the holiday activities you would partake in as a family – perhaps not the initial supermarket shop, but definitely the long Highland walks, hill scrambles and wild swimming in the lochs! Pet friendly cottages can be found across the Scottish Highlands and Loch Ness and are usually advertised as such on the owner’s website. 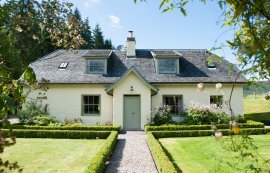 The mysterious woodland, enormous parkland and close proximity to Loch Ness for playful paddles make for a perfect dog holiday at any Aldourie cottage, whilst atmospheric and heart-warming indoor wood burning stoves will keep your lovable pooch contented into the evening. Dogs love racing out onto the private pier and lazing there with a bowl of water, mesmerised by the boats bobbing on the marina. August 3, 2015 at 5:39 pm. 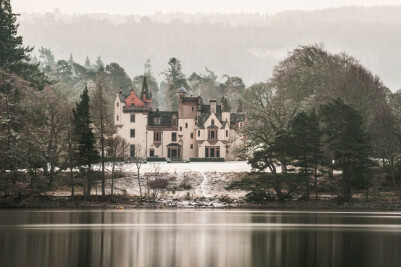 Is it the warmth of a roaring fire cosying up the room as you enjoy traditional Scottish cuisine for your wedding breakfast or the crisp, cool wintry air outside allowing you to snuggle further into your white fur cape placed delicately over your shoulders, that makes you want to book your small winter wedding at an enchanting Castle in the ethereal Scottish Highlands? There are many reasons for you to want to have a winter wedding at a luxury hire property and we at Aldourie Castle are firm believers that small, intimate private castle wedding venues with just a select few guests of family and close friends are perfectly placed in fairytale settings. 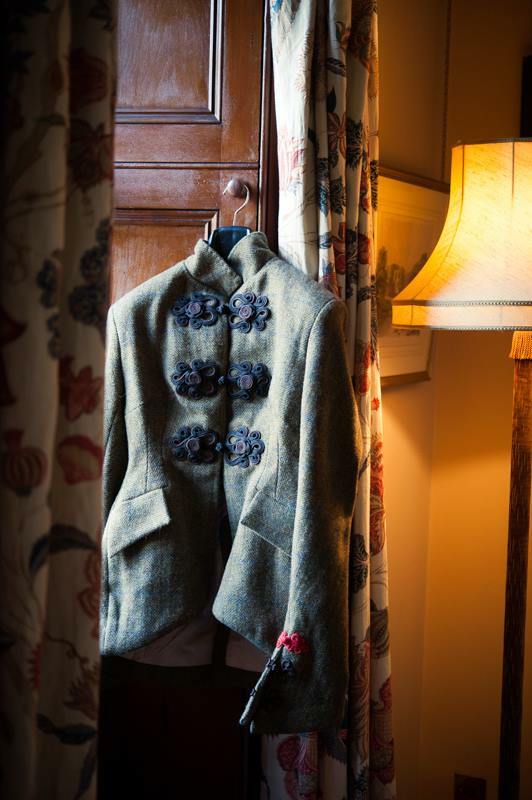 One of the many benefits to having a intimate wedding in Scotland’s premier, winter, private castle wedding venues, is that your wedding dress can be as heavy with as many layers of material as you wish without the worry of over-heating during your Big Day. Why not theme your dress around your venue – Game of Thrones or fairytale themed small weddings would befit the Highland Castle on Loch Ness. Then add some luxury to your attire with beads, diamante, lace or fur; any of which would be in-keeping with the winter season. 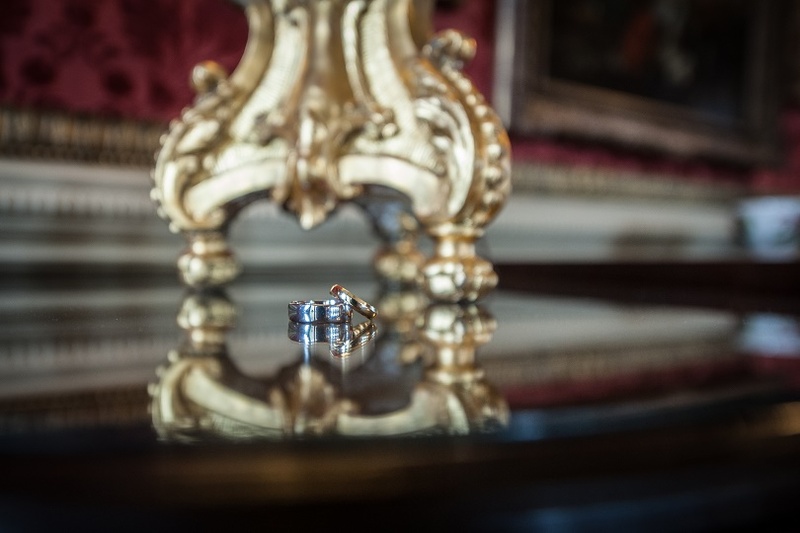 We’re guessing that if you are choosing to hire one of a number of private castle wedding venues in a luxury turreted castle in wild open grounds for your small wedding, then you probably like to do things a little differently. If you think there may be too much white around on your wedding day then opt for a rich, decadent shade of crimson or emerald green for your wedding dress to contrast well against cool wintry settings. Choosing a bolder colour adds to your confidence on the day and makes such a statement amongst the atmospheric light blues and greys of winter. The cool striking backdrop of the Scottish Highlands, either wild and blustery or still and snow-topped, make any winter wedding photograph a work of art. Imagine your bridal gown in the foreground adding so much interest and depth to the look and feel of your wedding day. Hot beverages create a party spirit! Champagne is the traditional option for the wedding ‘toast’ and adds elegance to your wedding; something you wouldn’t want to be without in an enchanting castle on Loch Ness. But you could opt for an alternative for your guests to drink at your small wedding reception. Pimms is ideal in summer so why not try the perfect match for winter and allow your guests indulge in the spiciness and festiveness of a glass of mulled wine. 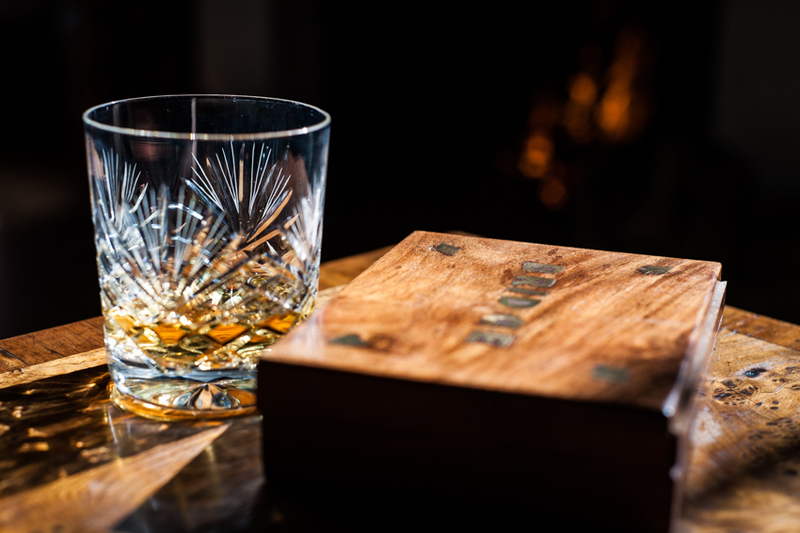 Many a bridal party at Aldourie Castle favours this festive tipple at their small winter wedding not least because it eases winter chills, warming the hands and hearts of guests as they wander the snowy woods and parkland or take in the views over the Loch from the glistening shoreline. 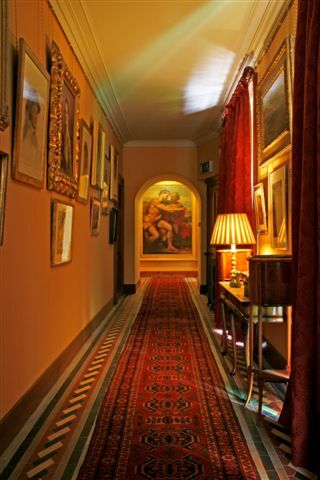 So many luxury castles and houses were originally designed for huge parties but Aldourie Castle with its intimate relaxing rooms, cosy nooks and hallways and individual character bedrooms was made for small, private parties. Because we are relaxed and want you to feel at home here you really can let go when theming your intimate wedding. Although the magnificent baronial interior of the Staterooms speaks for itself there is opportunity for personal touches; take advantage of the historic feel of the Castle and invite your guests to attend a small royal party in Winterfell and indulge in a private Game of Thrones style wedding. This doesn’t have to be corny – you go for outlandish glamour or stick to an impressively stylish but subtle theme. Lastly, ensure your flowers choices are brimming with rich colour and the occasional sparkle of silver or gold. How many of us worry about the weather, generally; not just leading up to a wedding day. Avoid the stresses associated with hoping and praying for ‘nice weather’. What many a photographer may never tell you is that a bright sunny day is not necessarily the ideal scenario for capturing the best images. By choosing to have a winter wedding, by default you’re more likely to expect it to be cold, possibly frosty, a chance of rain or even a blizzard. But once you have accepted that will more than likely be weather to expect during your intimate wedding celebrations you can start to get excited about the possibilities of extreme weather forecasts such as a gentle smattering of snow. What conjures up romance more than a gentle snowfall outside whilst you make your eternal vows in the cosiness of a castle? It will only add to the excitement of the day. And what’s more, it means you can relax your feet in wellies under your wedding dress for some of the photos – and nobody will be any the wiser! For couples searching for the perfect winter wonderland venue, Aldourie Castle near Inverness still has small winter wedding dates available from November to March 2016. 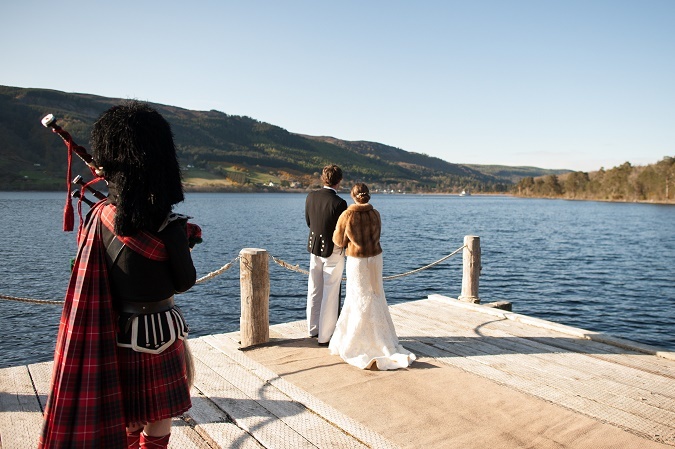 Celebrate with only your nearest and dearest family and friends in what will be one of the most memorable days of your lives in one Scotland’s exclusive, private castle wedding venues, on wondrous Loch Ness.